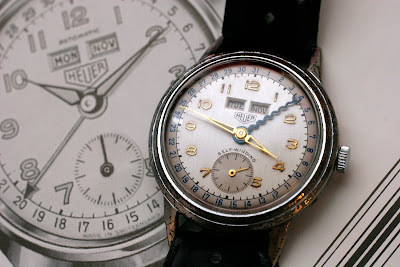 This is Heuers 90 year anniversary watch. 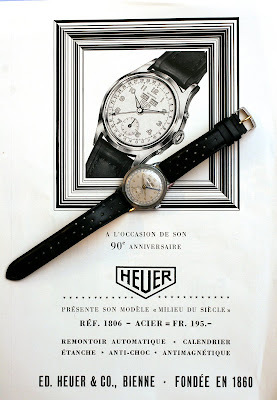 It was also promoted as Heuers "Half of a Millenium" watch, as it was launced in 1950. The ref. 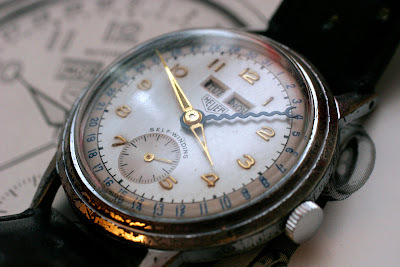 number is 1806 and was available in chrome, steel or goldplated. Mine is chrome and has a lot of wear. The movement is a hammer automatic from AS. 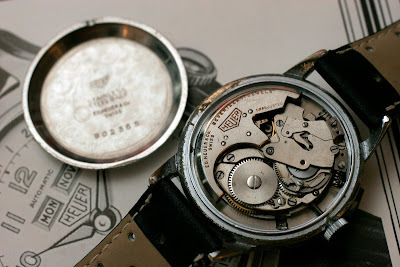 The caseback is snap on made of steel. I love that blue "snake" hand that shows the date.